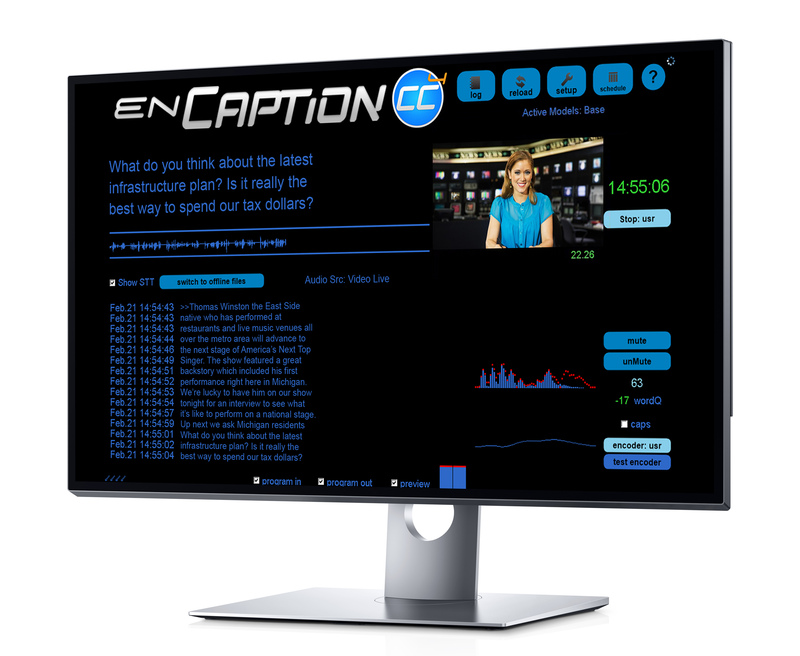 ENCO (Booth N2524) is coming to the 2019 NAB Show in Las Vegas with a bevy of new advances in its enCaption4 automated captioning solution. Just weeks after introducing new configurations that bring the benefits of captionsto radio audiences for the first time, the company will unveil enhancements that further improve enCaption4’s performance and deployment flexibility for television broadcasters, OTT service providers and AV professionals. Providing automated closed and open captioning for live and pre-recorded content in near-real-time, the software-defined enCaption4 platform enables broadcasters and content producers to cost-effectively meet regulatory requirements and growing consumer demand. Building on ENCO’s patented automated captioning approach, enCaption4 combines machine learning with a neural-network speech-to-text engine to deliver exceptional accuracy with extremely low latency. The newest enCaption4 advances further enhance these benefits, offering significant accuracy improvements while shortening the delay between spoken words and the corresponding on-screen caption display. Augmenting this elevated accuracy, the new update expands the array of sources from which enCaption4 can learn new vocabulary and names. Already able to access newsroom computer system (NRCS) scripts and rundowns using the MOS protocol, enCaption4 now offers additional forms of newsroom integration. The system can also pull information such as sports team rosters and news articles from third-party websites, growing its dictionary to continuously improve its word recognition and spelling precision. Complementing enCaption4’s ability to distinguish between multiple people speaking based on separate microphone feeds or audio channels, new multi-speaker distinction functionality leverages AI to detect changes between speakers even within a single mixed feed. Improvements to the system’s intelligent punctuation and capitalization also boost caption quality. On-premises enCaption appliances have typically output a serial or IP-based data stream of the generated captions to third-party closed caption encoder hardware, which in turn encodes the data into an SDI output signal with embedded captions. Eliminating the requirement for a separate encoder, ENCO’s new optional closed captioning encoder card can be installed directly within the enCaption4 system. This simplifies the signal chain and minimizes equipment maintenance, while its attractive price tag reduces initial equipment costs for customers who don’t already own a standalone caption encoder. Two new enCaption4 configurations enable entirely cloud-based automated captioning deployments for customers who don’t require baseband signal I/O. enCaption4 was at the vanguard of automated captioning in video-over-IP workflows based on NewTek’s popular NDI technology. A new dedicated enCaption4 configuration for NDI workflows generates captions from an NDI input stream and keysthem directly over the video as an NDI output. Meanwhile, a streaming-focused enCaption4 cloud package accepts encoded IP streams as inputs and outputs captions in WebVTT or raw data formats for display through web-based media players, mobile or OTT apps.